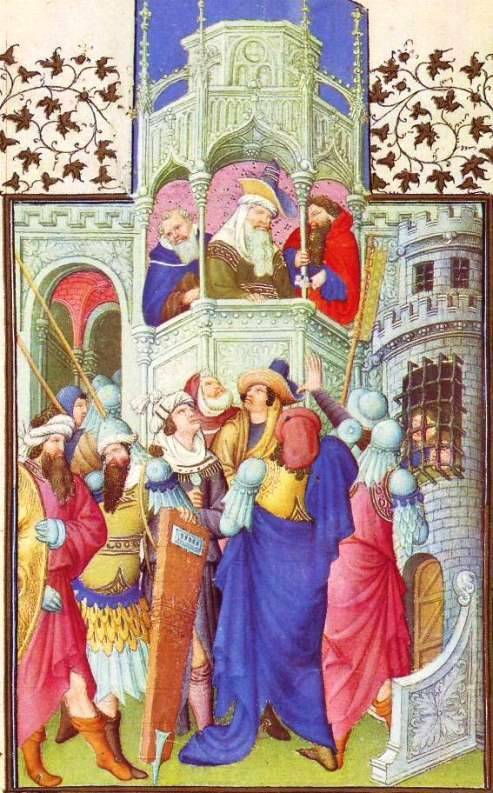 Pilate, in a curving hat and safely standing well above the hoi-polloi, addresses the Jewish crowd, offering in accordance with custom to release one prisoner at Passover. They ask not for Christ but Barabbas. 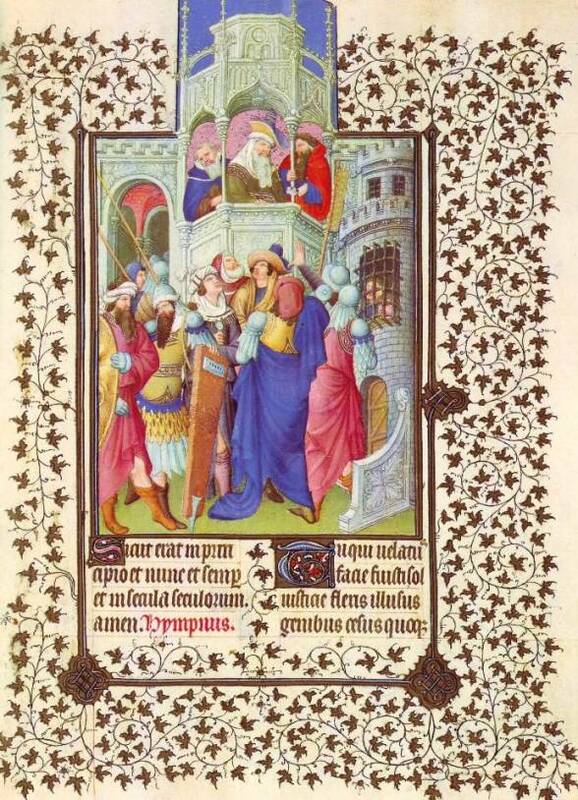 One dramatic man at the center, arm ﬂung up in excitement, has his back to us, his focus entirely on Pilate. Since the Jews could not enter Pilate’s judgment hall before the Passover for fear of ritual deﬁlement, the governor speaks from a high exterior pulpit. To accommodate it part of the ivy border has been erased. At the barred prison window (right) appear the two criminals who will share cruciﬁxion with Christ.